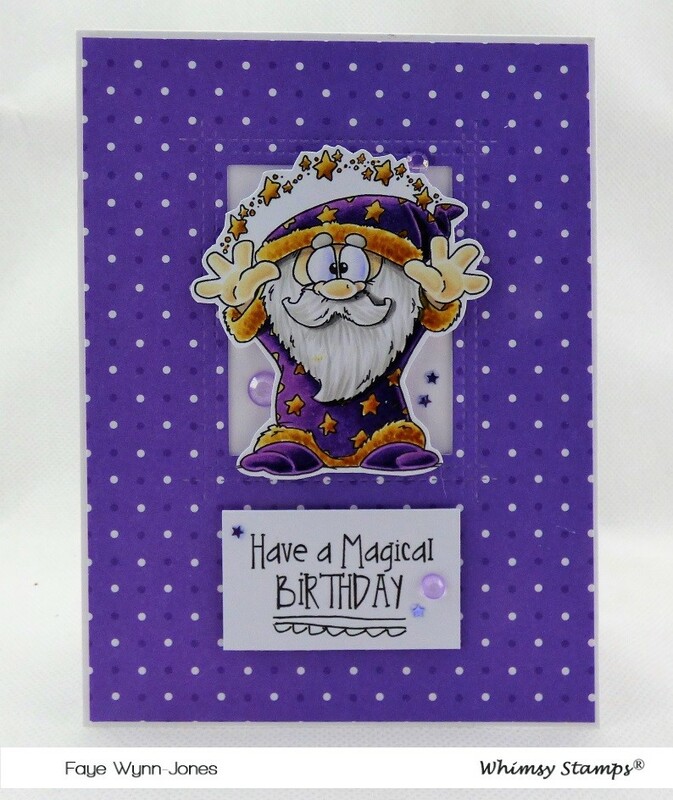 I'm back with another card using fab stuff from the latest Whimsy Stamps April 2019 Release. Have you seen the wizards? Have you, have you? I'm playing with Create Magic, but oh boy, it was hard to ignore Cast a Spell. Mr. Wizard is adorable! I love the paper. Great coloring as always. I love this set. Gorgeous card.